Discussion in 'iPhone and iPad Games' started by experimental, Nov 5, 2016.
i like the game so i want to share, hope you will like it. 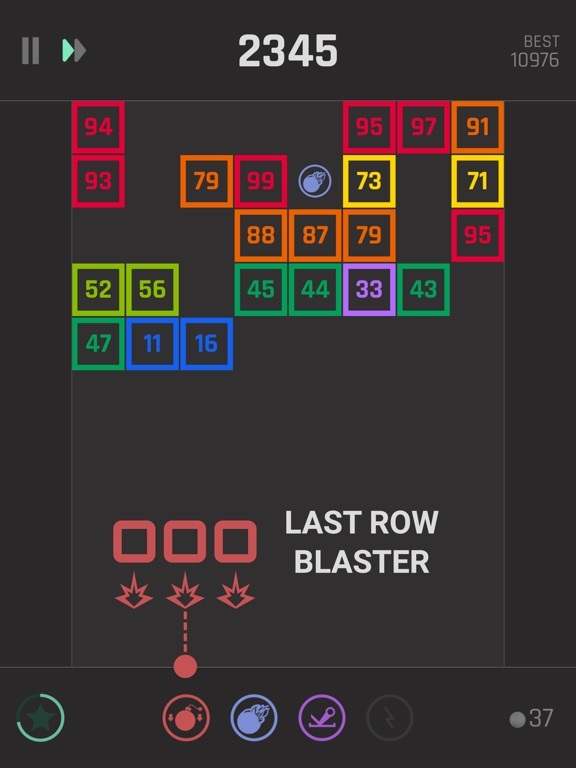 Can you survive this addictive game with surprising new jokers? 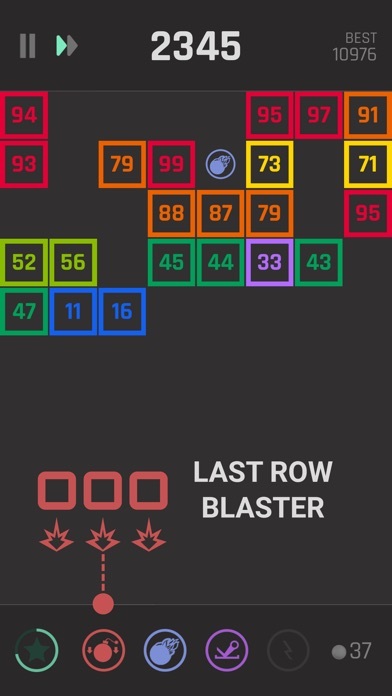 Tap to set your target, release your finger and start breaking the bricks! 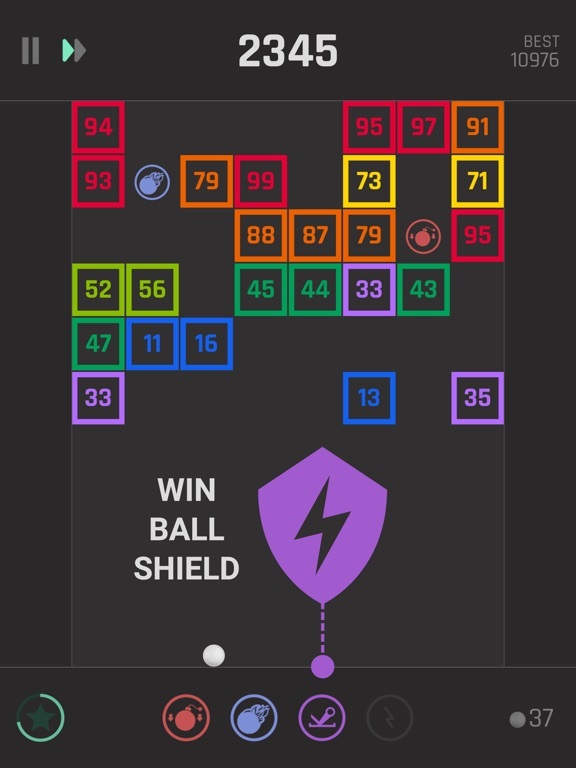 - Download & play for free - No in-app purchase - Offline play without internet connection - Endless gameplay **Bonus Joker** You may win a free powerup by watching a short ad; Just click on the star located below left. Remember that the star automatically reactivates after 50 shots! 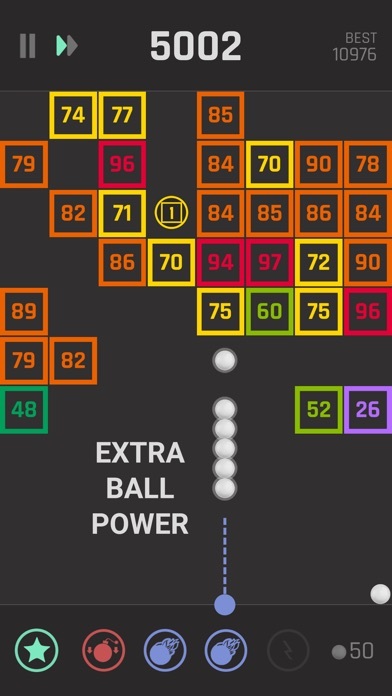 How to play: - Tap and aim towards the bricks and release to shoot - The more you play, the more balls you will have (50 balls max.) - Focus on breaking more bricks every time you shoot - To shoot again you have to wait until all balls to fall down to the bottom line - Make sure to avoid any brick from touching the bottom line There are 4 types of jokers in the game - One breaks all the bricks closest to the bottom - One gives twice the damage - One pulls all boxes with the same color down to level 1 - To shoot again you have to wait until all balls to fall down to the bottom line - One lets the balls bounce from the bottom line for 5 seconds Remember: You need to collect jokers before they disappear and use them at the right time! We continued to improve the game. Minor visual changes are made to the logo, app icon, and interface design. 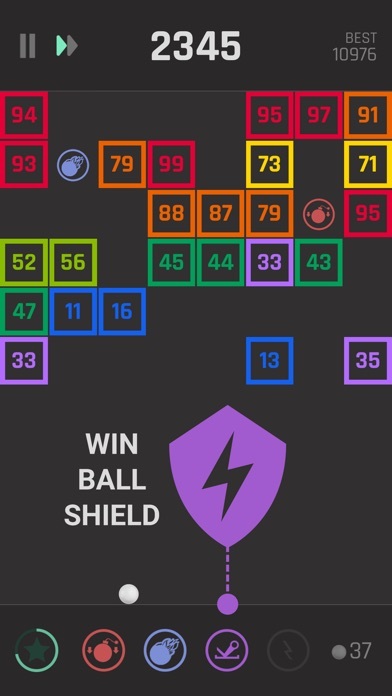 You may now fill in all powerup slots with random power-ups. You can change the game speed anytime you want. 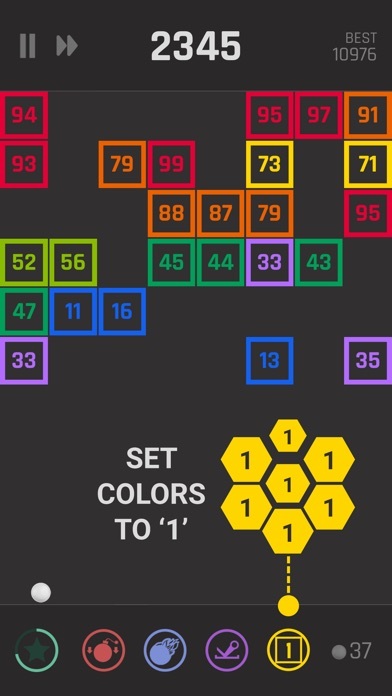 This game looks alike "BBTan". Even, I can say the game is replication. I could not see anything different. I played both bbtan and this game. 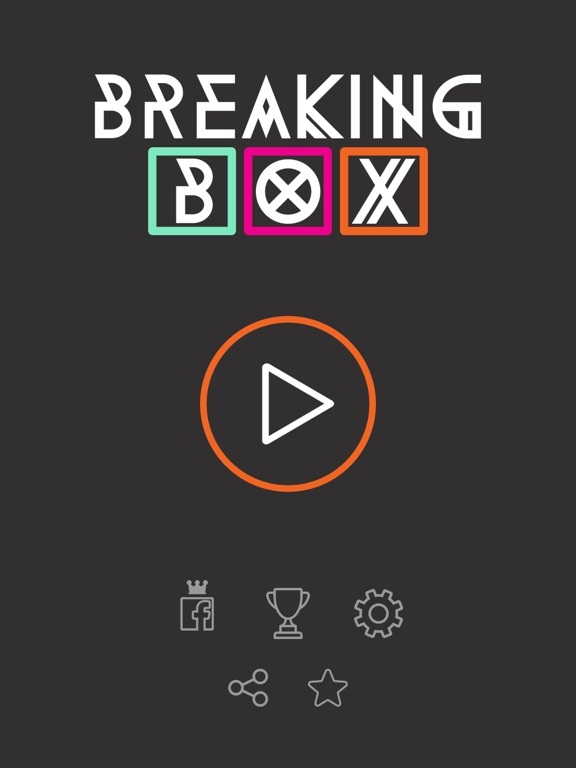 Breaking box's gameplay is better than bbtan. What did you find in this game? Does it have any extra feature from "BBTAN"? 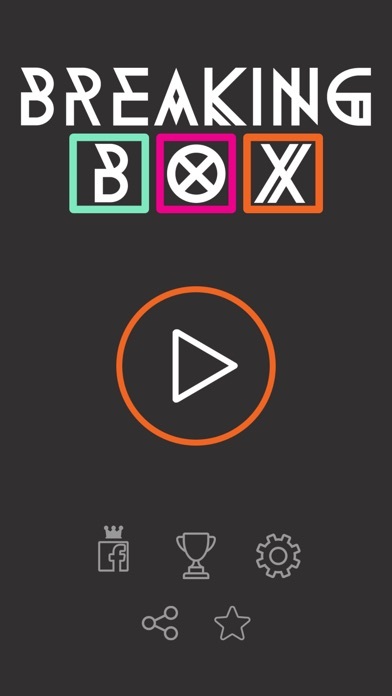 muraty could not play enough BreakingBox. There are a lot of difference between 2 games. 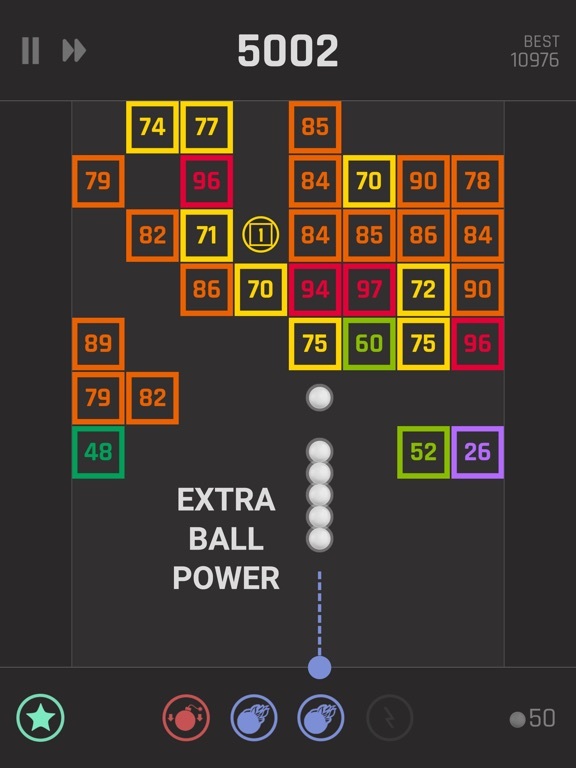 Especially there are many power-up than bbtan and i can use them at any time and anywhere so i can do strategy like i want. @experimental, I played it too much but, I don't play it nowadays. I think, there is no difference between them. I played bbtan only one week. But I played breaking box more than a month. 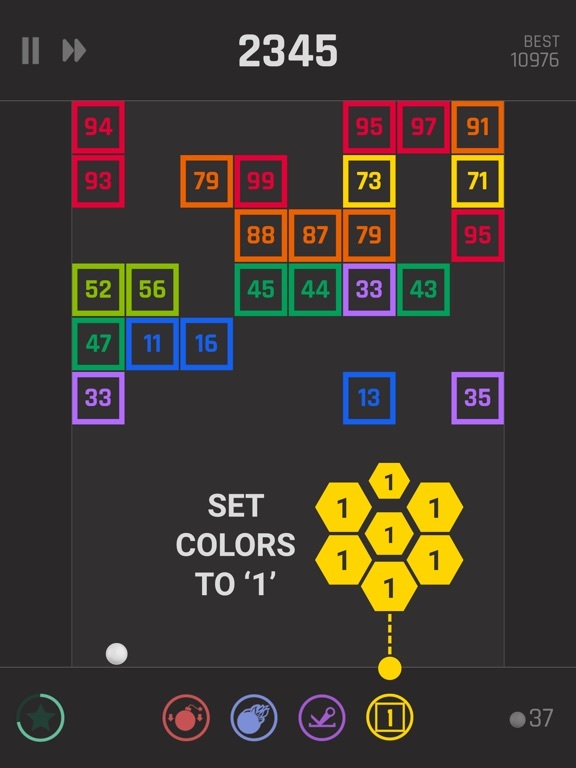 This game is more addictive than bbtan.